The problem of “cavity”which is also called worm in the teeth is seen more in children. Its main reason is to eat junk food and sweet things. Bacteria grow in the tooth with sweet things, which increases the risk of cavity. The teeth coming after the teeth of milk are also damaged. Put a habit of brushing twice a day for children over two years. After brushing in the morning and before sleeping, make sure the baby brush. Clean the face of the newborn baby with a cotton spoon before sleeping on it. Put the habit of rinse the baby after eating anything. Give the child as little as possible to eat less, such as chocolate, toffee, sweets, cold drinks etc. All these things harm the child’s teeth. If the child also eats these things then after that they will clean the mouth. Keep this in mind. Whenever the child eats something especially sweet, ask the child to rinse well or make it. Even after eating food, rinse the baby. 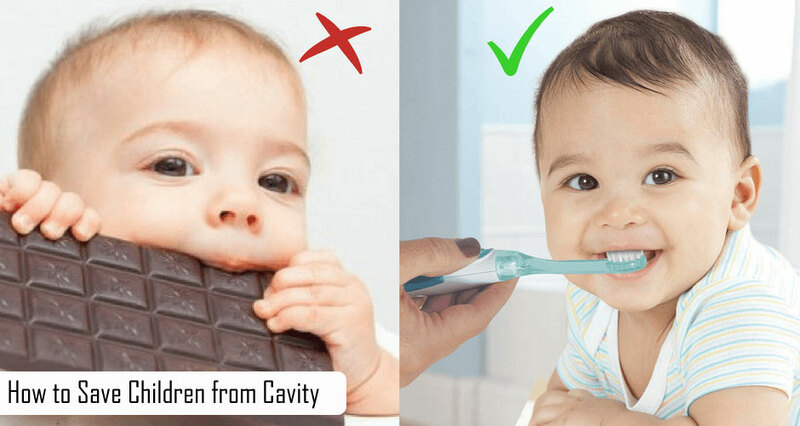 By doing this the food trapped in the child’s teeth will come out with water and the risk of cavity will be reduced. Let the child drink more of the water and drinks curtains. It also keeps the teeth healthy with health, and does not stick harmful elements to the tooth, which keeps the teeth safe and reduces the risk of cavity. Make Calcium-rich foods an important part of children’s catering Nutritional intake is also important not only for health, but for children and adults in the teeth. Calcium and mineral are important for teeth, so feed them rich in calcium and mineral such as salads, fruits and milk or preservatives made from milk. These teeth become strong and healthy too. Choose such a brush for children so that the teeth of the children can be cleaned properly. Children’s brushes should be smaller with nylon bristles, so that the baby cleaned his teeth properly. Use such toothpaste for children that do not have fluoride. After a while, keep changing the baby’s brush. Children have a habit of putting thumbs in their mouth. The effect of this also falls on the teeth of children. If there is a pain in the child’s teeth, black or brown spots on the teeth or sensitivity in his teeth, do not ignore it in this condition and immediately take your child to the doctor as the solution to this problem Initially, the child’s teeth are not much harmed and the child’s teeth will remain healthy. Next articleWhy your children crying night? How to Deal with Whining in Babies?